The staff and board of UMVIM, SEJ are excited to announce Rives Worsham as the 2016 summer intern. 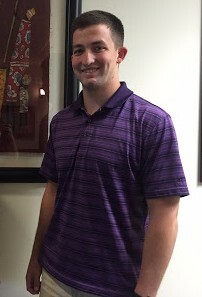 Rives comes to us from the Virginia Conference, where he has been a lifelong member Trinity UMC in Richmond, and is currently attending the Virginia Military Institute. During his time in Trinity’s youth ministry, he grew in his love of God and missions under the influence of his youth pastor Forrest White, who also serves as the Virginia UMVIM Coordinator. Rives was able to learn about the value and importance of short-term missions, and had the opportunity to serve in Costa Rica, the Bahamas, Memphis, Detroit, Los Angeles, Chicago, as well as his local community in Richmond. Rives is studying Economics and Business at Virginia Military Institute, where he also plays Division I soccer. His ability to work within in a team setting has been sharpened at VMI, both on and off the field, a quality that is essential to engaging in effective mission service. He is also a natural born leader, and we know he will only continue to learn more about what it means to serve God and others through missions. Rives will begin his summer in the UMVIM, SEJ office in Birmingham, Alabama. His domestic placement will be with the Reelfoot Rural Ministries, and his international placement will have him traveling to San Isidro, Costa Rica to serve with Costa Rica Mission Projects. Each year, our interns also work with our Design Team at Young People in Mission, UMVIM’s hallmark event that is held at Lake Junaluska. 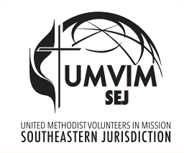 The UMVIM, SEJ Summer Internship Program was established in 2013 as way to further equip a member of the Next Generation of the UMC to grow in their missional capabilities. Our former interns have gone on to serve as UMC clergy and other roles within the denomination. To learn more about this program, please visit our website.